PINEVILLE, La. 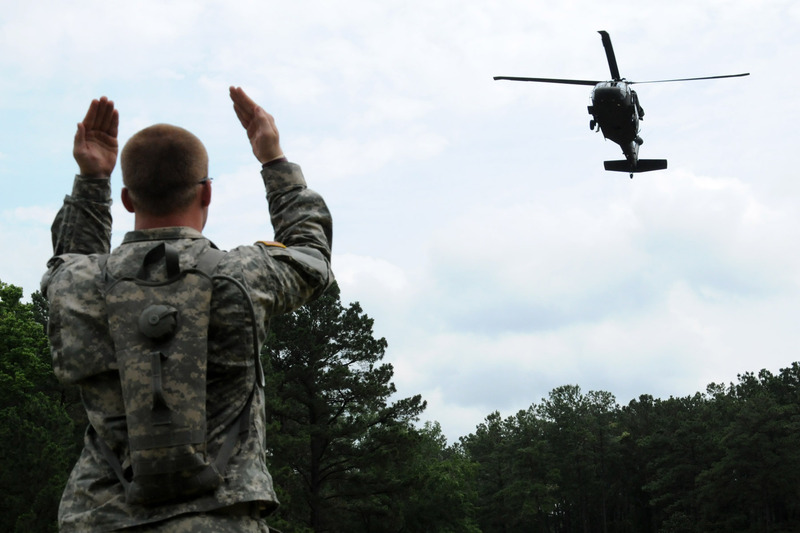  In a joint exercise, ground troops and aviators from the Louisiana National Guard trained together for possible search and rescue missions due to potential flooding caused by the Mississippi River and opening of the Morganza Spillway, May 23. 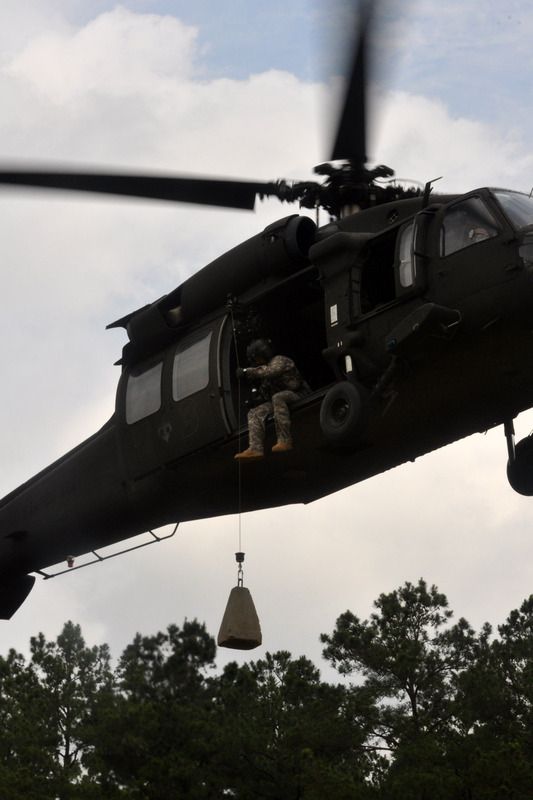 The LANGs State Aviation Command and the 2nd Squadron, 108th Cavalry Regiment each play an important role in search and rescue operations: one from the air, the other from the ground. If an immediate evacuation is needed, the two units would work together to extract potential victims from floodwaters. The SAC is equipped with Black Hawks and LUH-72A Lakota helicopters that can be used for any search and rescue operations. To prepare, aviators fly reconnaissance missions and have developed plans and procedures accordingly. During a typical search and rescue mission, each helicopter consists of two pilots and two crew chiefs. While one crew chief directs the pilots to a specific location and operates the hoist, the other crew chief is lowered in the hoist to rescue the victims. This is where ground troops come into play. One search and rescue team radios for help to the aircraft. Upon arrival, they help direct the helicopter to the victim with specific hand and arm signals. Knowing the communication signals is paramount to a successful hoist-rescue mission. then things can go terribly wrong. Pfc. 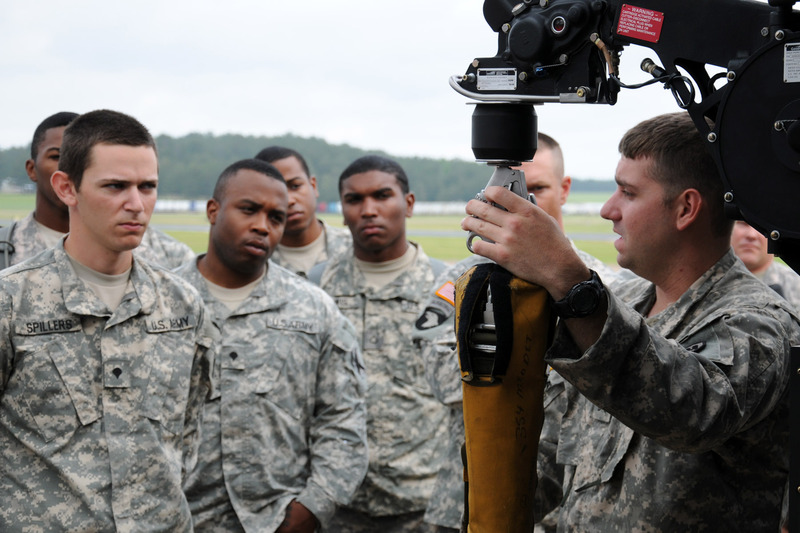 Matthew Dixon from Shreveport, member of the 2-108th, said that while he hopes they are not needed, the training helps build confidence and gives some Soldiers a chance to work with more experienced Guardsmen. Dixon says he is prepared to assist citizens of Louisiana in the event he is needed. I didnt sign up for the Guard to stay at home, he said. SAC Chief Warrant Officer 5 Brad Smith from Pineville explained the importance the relationship between aviation and ground Soldiers plays in a rescue. Communication allows for units to work better together, he said. Task Force Pelican Reserve is a strategic reserve of more than 70 Guardsmen that can be called upon to provide ground and water assistance if a search and rescue is needed. Maj. Jonathan Lloyd from Natchitoches commands the team of Guardsmen staged at Camp Beauregard. They are prepared to execute a search and rescue anywhere in the state if the need arises, and training like today only prepares his team more, he said. This training sets us up for success, said Lloyd.